Home equity is clearly a good thing to have; it’s one of the perks of home ownership. 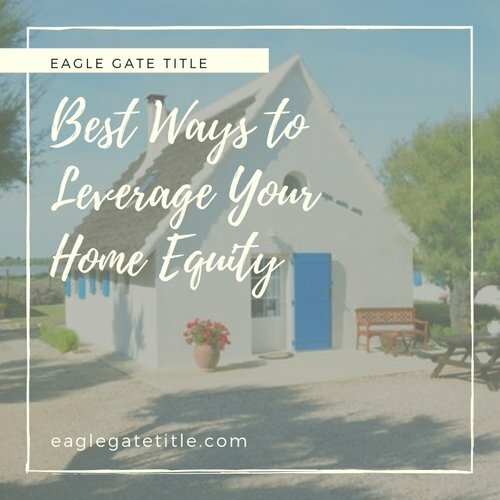 Steady appreciation of real estate values for eighty years has made home equity a powerful contributor to the economy, either after selling the house or via home equity loans. This article presents six smart strategies for using home equity, including the risks of each strategy. Home equity loans sometimes have lower interest rates than student loans, so using home equity for college makes sense in that regard. Paying off your student loan with home equity may save money in the long run; however, it is still a loan that must be paid back, and if you don’t follow the terms of payback, you could lose your house. On the other hand, student loans backed by the federal government contain many options for slow payment tolerance: forbearance, deferment, and repayment based on income; therefore, they are easier to handle when times are rough. Making home improvements is a popular way to both make the home more enjoyable and to increase its value. For example, replacing an old garage door can improve convenience and security, while increasing the home’s value. New roof shingles, on the other hand, may stop leaks, but may not affect much the home’s value. Improving curb appeal by installing stone veneer, new siding, or adding a beautiful paint job will likely raise the market value of the house when it comes time to sell. If you have $30,000 in home equity, and you use all of it for the most expensive flooring, you most likely will not recoup the $30,000 at selling. Doing the work yourself is an intelligent way for using home equity, provided you know what you’re doing and don’t cause more problems. Convenience and impulse buying have made the credit card companies rich from the interest and fees charged. Over the years, credit card users often pay two or three times more than the purchases prices of card uses. And with an average interest rate of 15%, using home equity loan at 5% APR to pay off your unsecured debts makes sense with a few caveats of caution. If you don’t get rid of your credit cards or change spending habits, you’ll run up the debts again and be worse off than before. It takes commitment to stop using credit cards and borrowing unsecured money, so formulate a plan for sticking to the payment of only the consolidation loan and not adding new payments with their strangling interest. Another drawback to using home equity to pay off credit card debts is that it typically lengthens the time in debt. It will take longer to pay off, though at a lower interest rate. Medical bills are a fact of life, even with good health insurance. They can eventually be reported to credit bureaus, lowering your credit score. So, paying off medical bills with home equity can be a good thing; however, remember that you’re transferring a debt with no collateral to one with your home as collateral. This means that if you default on the home equity loan, you could lose your house. Retirees can smartly use home equity to benefit their retirement years. One way is to open a “heloc” (home equity line of credit) for quality of life expenses or home improvements. Another strategy is to downsize the home. 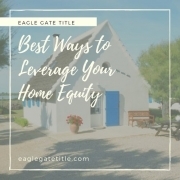 Using equity to buy a less expensive home will either reduce the house payment or eliminate it completely. This increases discretionary income for improving lifestyle. Some retirees enjoy enhancing their lifestyle with a reverse mortgage, and if they borrow less than what is owed, then less obligation is passed on to heirs at the owner’s passing.